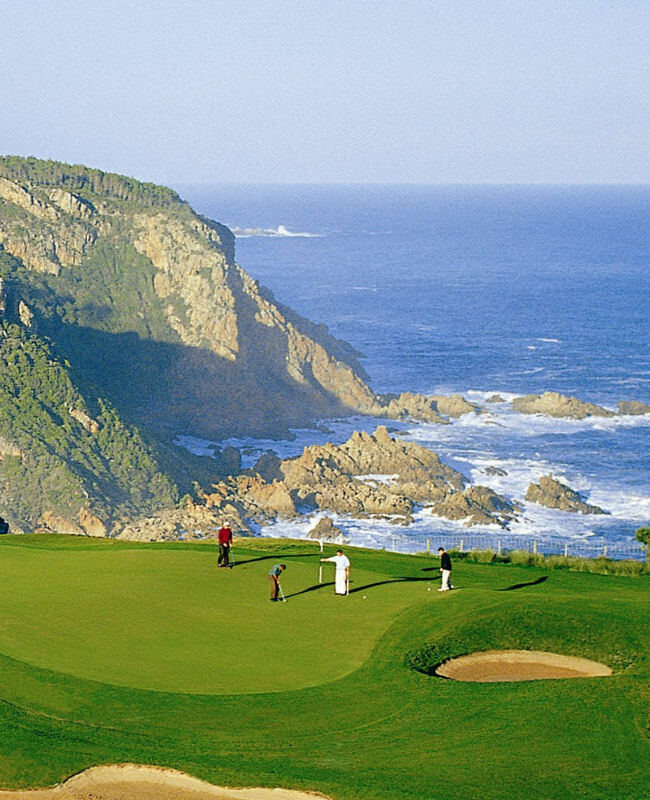 Golf courses designed by some of the golfing greats are scattered from Tsisikamma to Mossel Bay making this region a golfer’s delight. 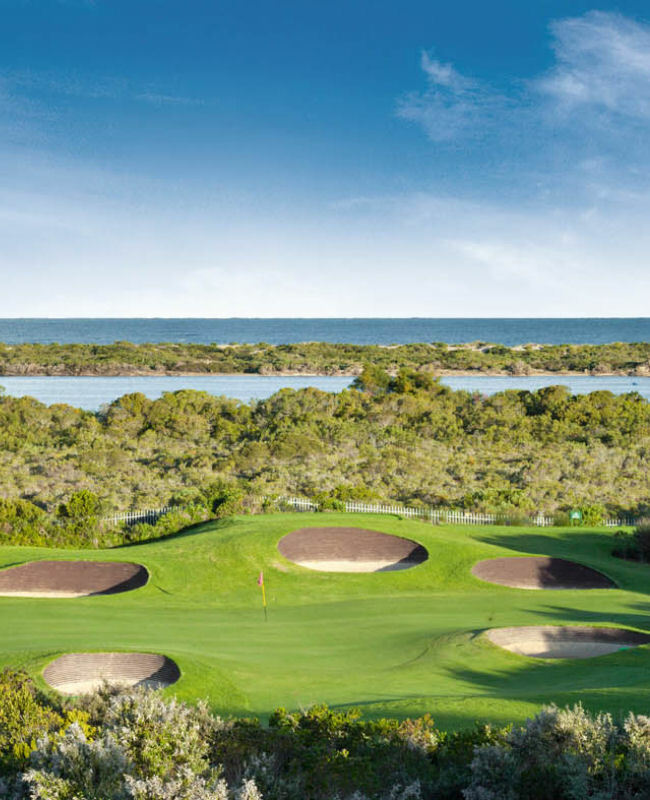 Many of the top-quality courses boast spectacular sea, mountain and river views. Only 2 kms from Plettenberg Bay, is situated in pristine surroundings bordering on the Keurbooms Lagoon. Golfers playing this magnificent Gary Player designed 72 par, 18 hole golf course will experience breathtaking views of the lagoon, the ocean and the Tsitsikamma Mountains. This is no little seaside golf course. It is a magnificent 18 hole layout in the most lovely of settings on a proclaimed Nature Reserve. All greens and bunkers are to USGA specifications – a golf course to be remembered! 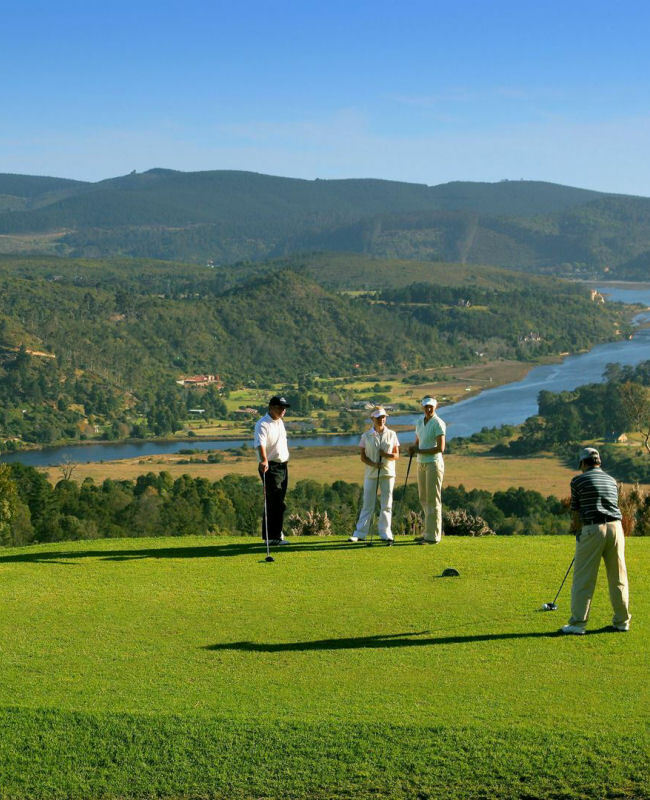 This golf course in Knysna offers breathtaking views over the forest, the Knysna Lagoon and the Indian Ocean with holes such as the 14th built right on the breach of the cliffs. Adjacent to the Knysna estuary has tree-lined fairways and the surrounding hills provide scenic backdrops with a great variety of trees, flowers and bird life. Designed by Jack Nicklaus, has glorious views from every corner of the course – the Outeniqua Nountains, the Knysna Lagoon and the Indian Ocean. Golf at Simola is the sublime experience. ?